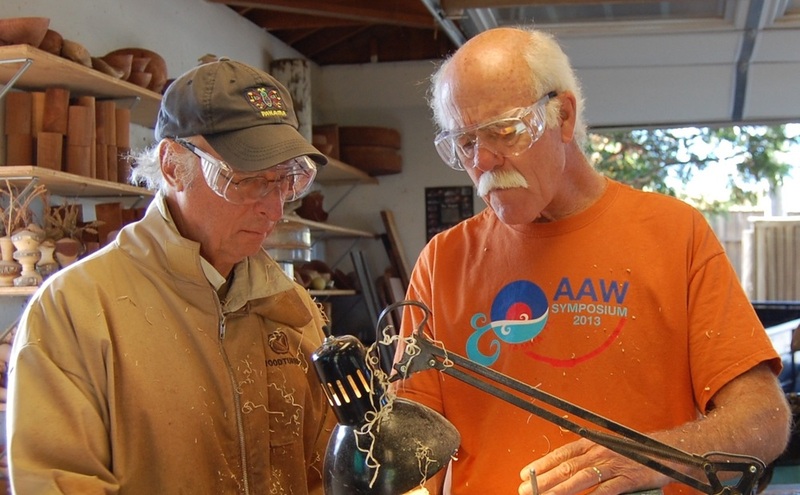 Beginning through advanced classes are offered at Jerry’s studio in Sebastopol, California. See our schedule for dates and times. All tools and materials are provided and a delicious lunch is served each day. Jerry is also available as a guest teacher. Student lathes, with a 9" swing and 12" between centers, are lathes small in size only. Jerry uses one daily for small projects and high-speed turning. This perfect beginning lathe will see you through two days of challenging and satisfying turning. You will also get hands-on experience of Jerry’s VL300 and custom bowl lathe. See our schedule for class dates. To reserve your spot, contact Deborah directly at debjer@comcast.net or call us at (707) 824-9893. Maximum of five students per class. Will take alternate 6th student in case of cancellation. Alternate will have choice of next available class. $100.00 deposit required, refundable up to one week prior to class or if class is cancelled. Balance due first day of class. Call us now at (707) 824-9893 to schedule. First come, first served. Dates subject to change or cancellation. Please contact us to confirm.